Welcome to Camp South Africa! Camp South Africa has three amazing programs, all of which we cannot wait to show you and get you involved with! We specialise in recruiting enthusiastic individuals to help coach sport in local schools; Physical Education isn’t included on the syllabus in schools in South Africa, so this is a great opportunity for young children to take part in the sports that they love! Camp South Africa also offers people the chance to teach subjects such as English in township schools across the gorgeous Eastern Cape shores of South Africa; this is a phenomenal opportunity to develop a repertoire of transferable skills for your CV and meet fantastic people in a great country! Last, but certainly not least, this program is a chance for those who want to get involved with animal conservation, namely working with the ‘Big Five’: African elephants, rhinos, buffalos, lions and leopards! Here at Camp South Africa, we promote a philosophy focused on a mantra of working hard, playing hard and making a positive impact. Camp South Africa has earned an enviable reputation as one of the leading South African based Camp programs on the market. During your stay, you’ll have a truly wonderful experience, work with incredible people and meet a whole host of friends who’ll stand the test of time; this is truly a phenomenal opportunity to revel in the beauty of one of the planet’s most-loved countries. 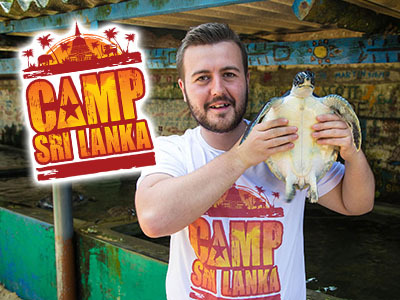 We also have lots of other amazing Camp programs in other countries such as America, Canada, Thailand, Vietnam, Maldives, Cambodia, Australia, Bali and the Caribbean, so following your Camp South Africa adventure, why not venture further and get your passport stamped in some of the most desirable locations in the world? Check out what else do we do! Save The Student has named our sister company AmeriCamp ‘Best Summer Camp America Organisation’ for seven consecutive years! Camp Vietnam is guaranteed to leave you with memories for life and a place in your heart for the people of Vietnam. You see the incredible Halong Bay, Trek in Sapa, as well as a whole host of spectacular, mind-blowing Temples! We really don’t stop at South Africa, USA and Vietnam!, AmeriCamp are also the founding sister company of Camp Thailand, AmeriCamp Canada, Camp Maldives and Camp Cambodia, which collectively send over 5,000 people abroad each year to help provide an education to disadvantaged children. We don’t stop at South Africa. we are also the founding sister company of Camp Thailand, Camp Bali, AmeriCamp, Camp Canada, Camp Vietnam, Camp Maldives and Camp Cambodia which collectively send over 5,000 people abroad each year to help provide an education to disadvantaged children.